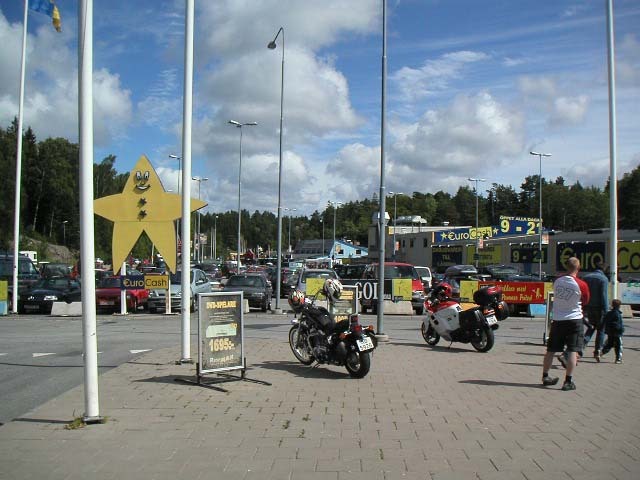 Let's go shopping to Sweden! 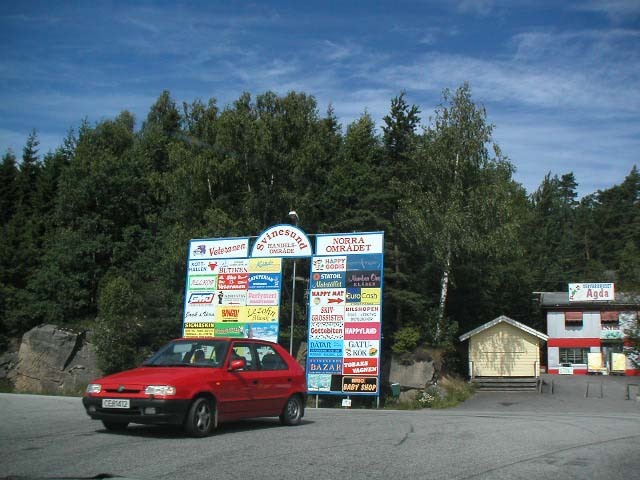 As wrote before, the prices in Norway are expensive. 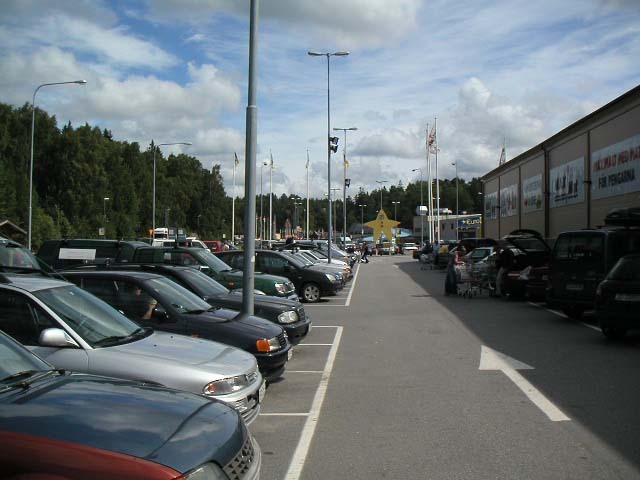 So, I usually go shopping to Sweden. 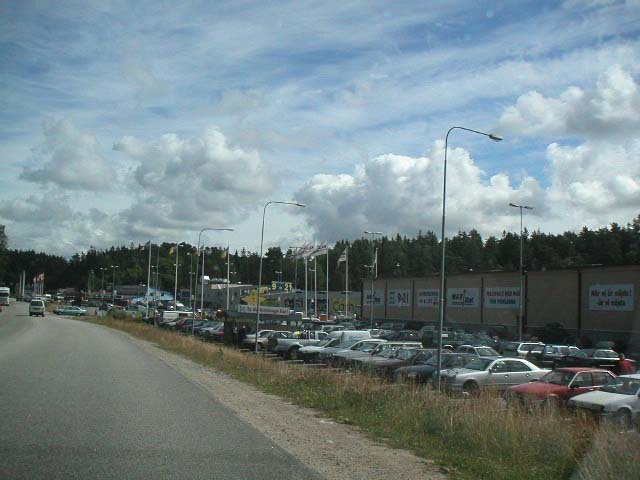 You may think it hard to go shopping to other country passing over the border, but in reality, it is easy. 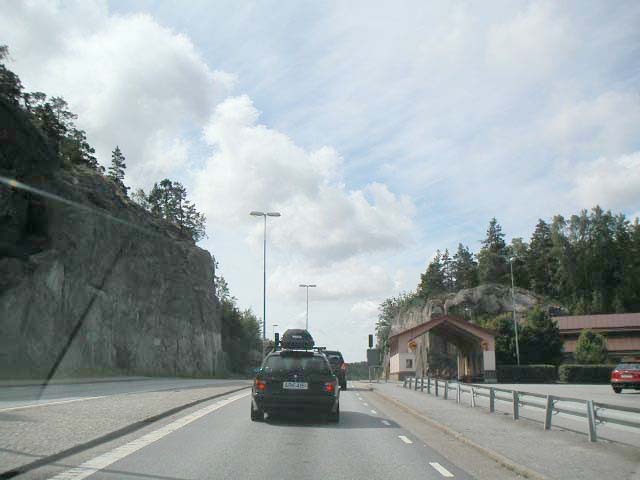 After 5 minutes drive south along with E6 road, you can see the border of Sweden. 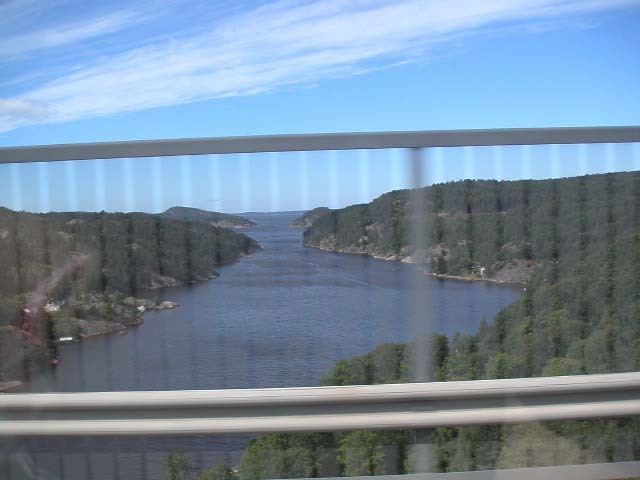 There is a big fjord between Norway and Sweden, and a bridge named Svinesund is across the fjord. 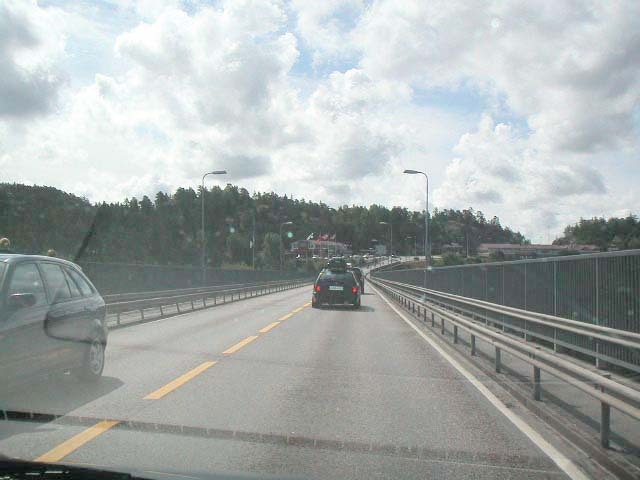 The height of the bridge is 76 meters. From the bridge, you can see a beautiful scene. After going across the bridge, you can see the sign like the picture. 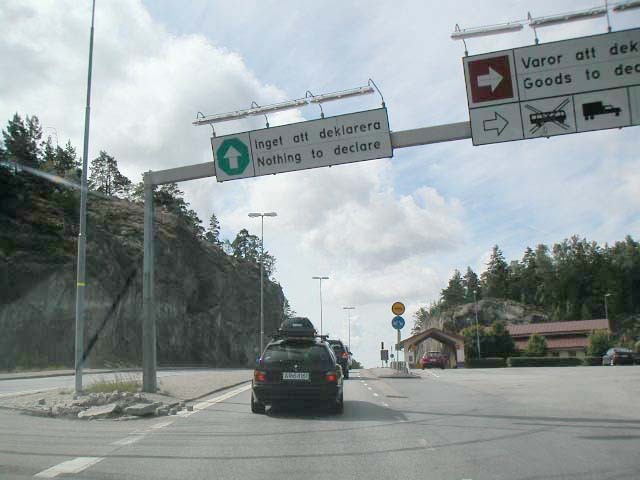 In case that you have nothing to declare, you can go straight. If you have anything to declare, you have to go right. 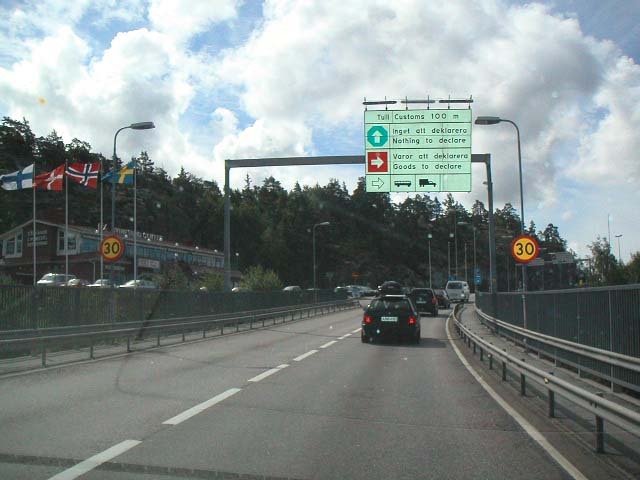 I have nothing to declare, so I pass the sign. This means I go over the border. There is no gate nor passport control. This is an easy border. 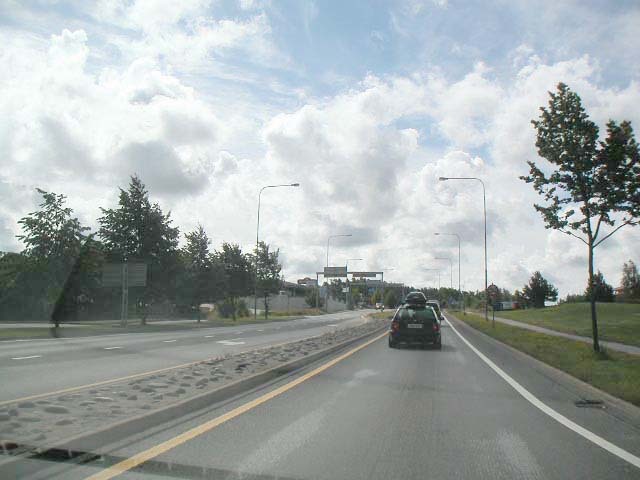 After one minute drive, you can see a large shopping mall on your right. 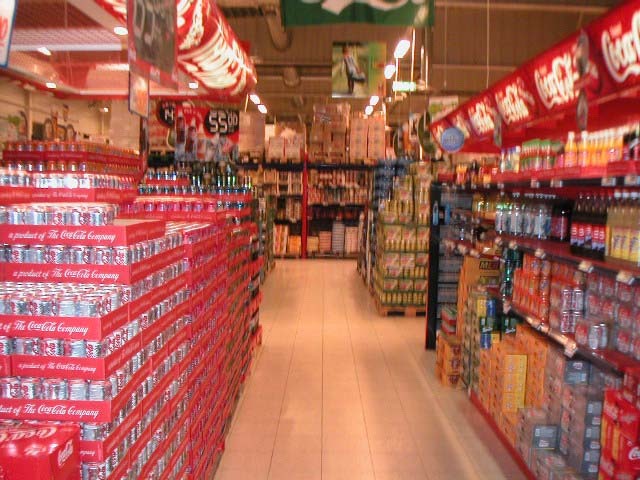 The stores in the picture are only a part. As seen in the advertisement, there are a lot of stores. 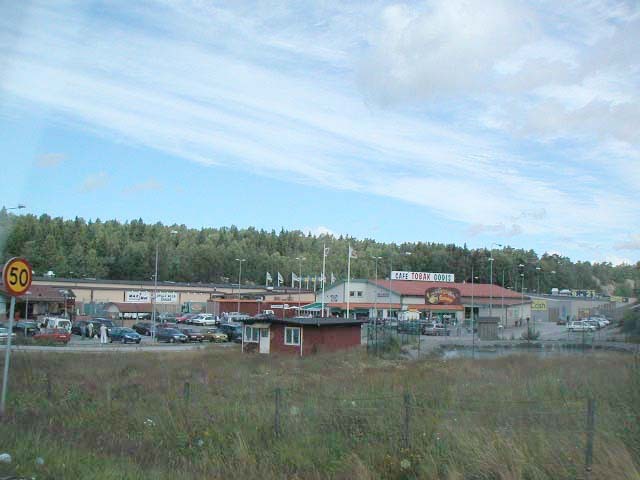 The store on your right is a supermarket named MAXI MAT, where I usually go shopping. I park around here and go shopping. Next to MAXI MAT, there is another supermarket named Euro Cash. These two stores are competing. 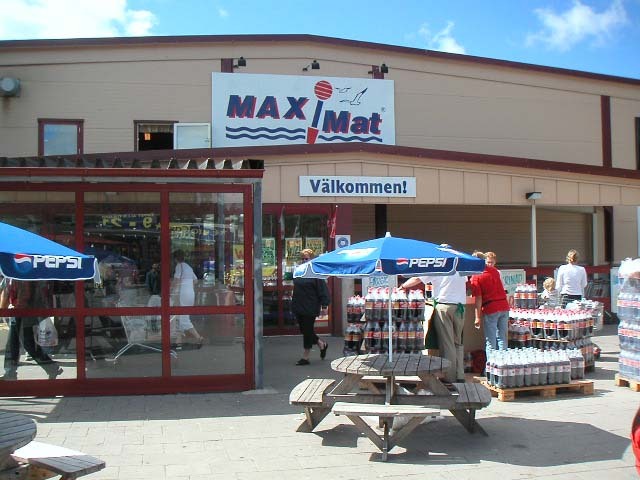 This is the entrance of MAXI MAT. It is small, but the inside is huge. The selling area of only juice is like this size. 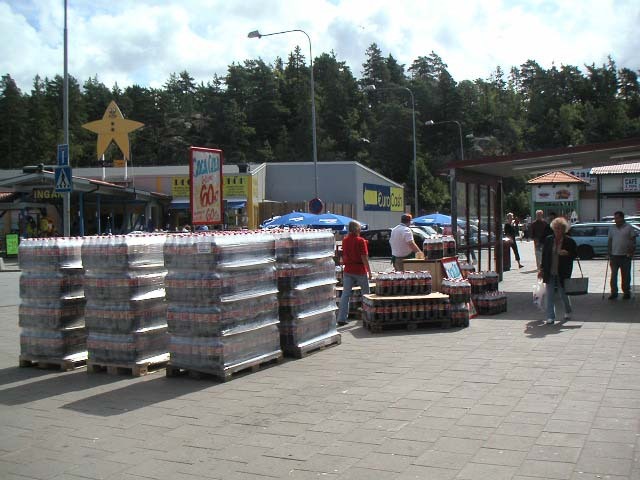 On the left raw, there is a selling area for beer. I found Falcon Beer here. The price of Falcon Beer 2.8% 500ml can is about 70 yen. Oh? 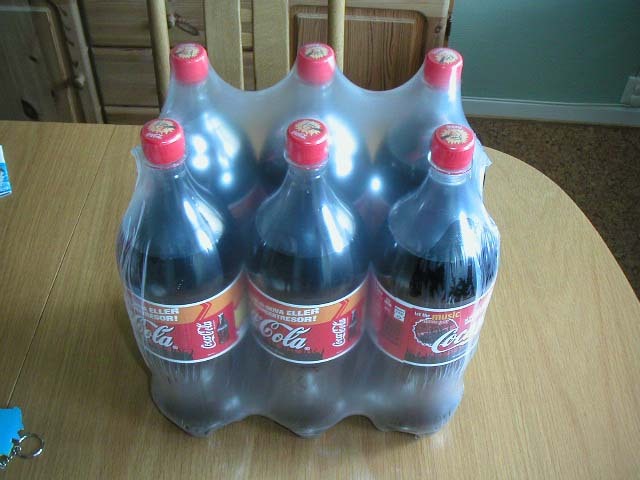 6 bottles of 2 liter coke are on sale. 6 bottles cost 70 SEK. It is 155 yen per bottle. I thought it's cheap, so I bought them. And I also bought a root beer. I love the works of Stephen King, and I read almost all of his works. 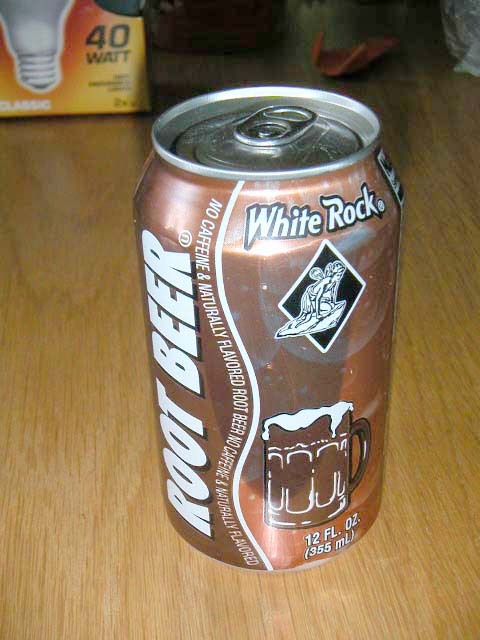 In his works, root beer often appears. I have never drunk it, so that I bought it to try. I will try it someday in the mood to drink it. It must be bad taste.